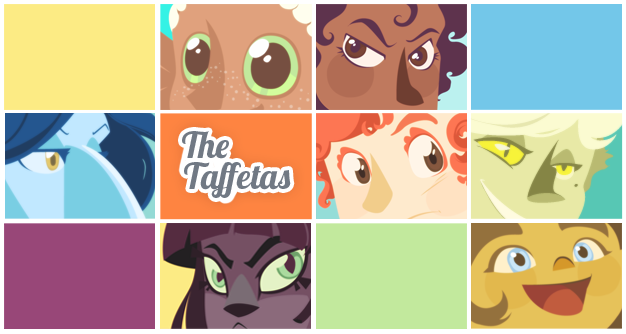 The Taffetas is an animated series hopeful by Yesenia Carrero and Tracy MacLauchlan about a bubbly Atlantean who tries to start a new life in a contemporary city filled with characters from myth and lore. We created and pitched our first concept in 2011 with warm reviews. This year, we revised the concept completely, and are now working on a new version of the pitch, which we plan to share soon. This blog you are reading is our development blog, where we post every other Wednesday about our insights and updates. 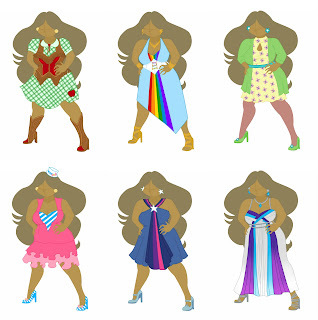 Our long-term goal is to actually make The Taffetas. Our short-term goals are to finish the new version of our pitch, and to seek out resources to make the show a reality. We always appreciate support and comments, so don't feel shy to share your thoughts through our blog, facebook, or e-mail (info@thetaffetaspitch.com), especially if you have questions. After an engaging conversation about amputation practices of early war nurses, Gemini coyly asks Veil if he would still like her if she didn't have her arms. 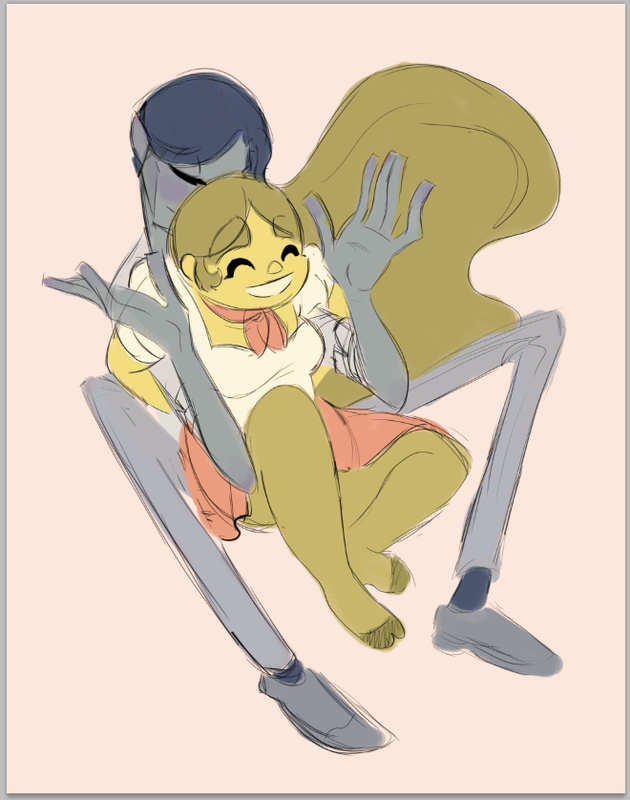 He retorts that while he specifically dated her for her arms, he would make do being her arms for her. They decide they need to practice this, just in case. "Jazz hands are particularly important, Darling." We would like to thank everyone for staying with us and we are excited for our new plans which are coming along slowly but surely! Taffetas continues to grow at a steady pace and we appreciate every comment, fan, worker, and supporter we get along the way. Here's a preview of the Blue storyboards by the fantastic Nana Boachie! In this scene, Gemini takes out her frustrations with Veil by smacking him with a pillow. It looks like Veil's not quite enjoying the experience either! Are our main couple in store for a nasty quarrel?
" 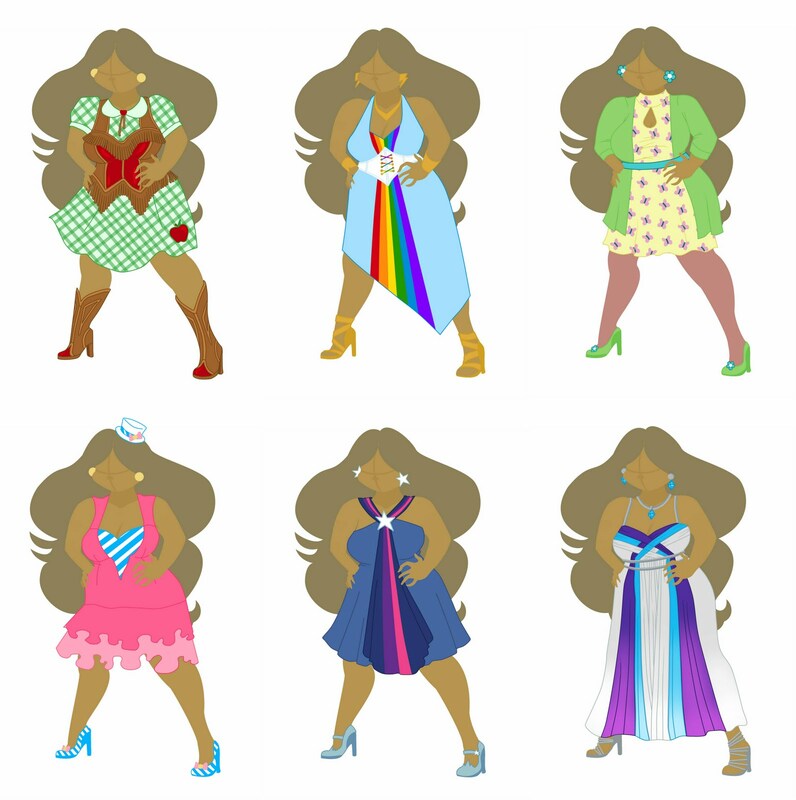 Considering the vector style animation of the Taffetas, I couldn't help but to make a clothing series inspired by another awesome animation series. This is my tribute. <3"